One Christmas when I was about 18 or so, I was decorating the tree with my parents and my two brothers. Ornament after ornament came out, each one representing a piece of Christmas past, a treasured memory, a Christmas tradition. 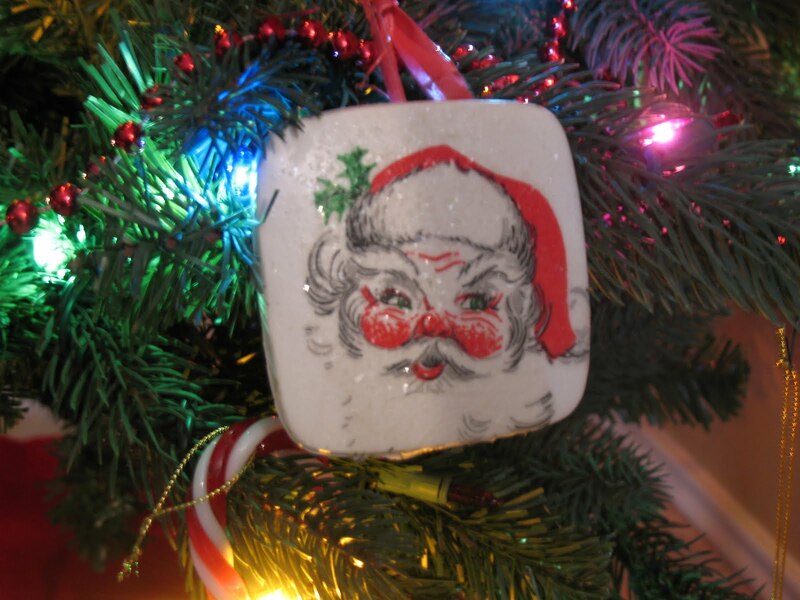 My mother pulled out a large square ornament made of plaster of Paris, a Santa face glittered on the front. It was one made in my classroom when I was perhaps 6 or 7. 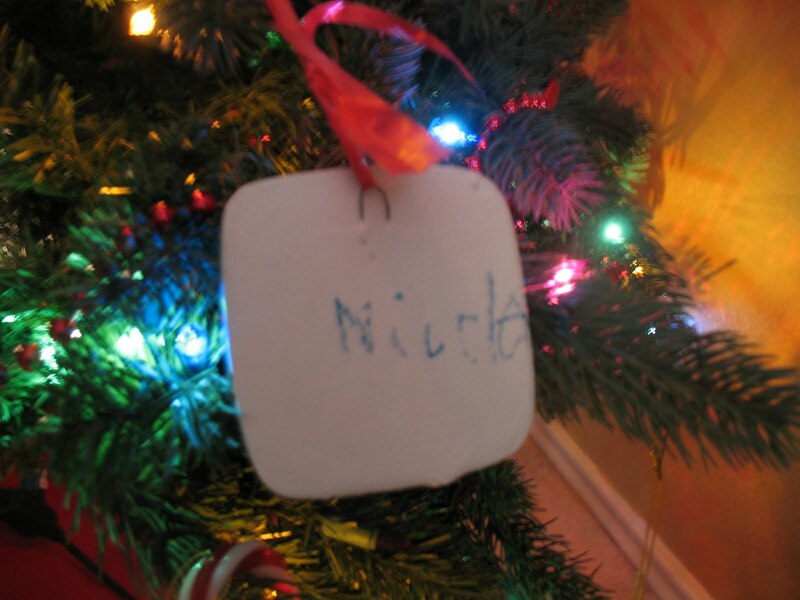 “Nicole, do we have to put this one on the tree? It’s so heavy that it always falls off, and to tell you the truth, it really is pretty ugly,” she said. I laughed aloud and revealed a secret I had been holding for years. No, it didn’t need to go on the tree because it wasn’t my ornament anyway. I had stolen it. It all started in my elementary classroom years ago. I had been a good, but sloppy student. I suppose now, as the mom of three little ones, I realize that I wasn’t really a sloppy student; I was young and was still developing fine motor skills just like the vast majority of all young students. But it seemed to me at the time that all of my artwork came out flawed and never like the plan that I had in my head. This was compounded by the presence of another little girl in my class who was perfect. You know the type. Always in a pretty dress, always with a perfect bow in her hair, penmanship that was ideal, never spilling her chocolate milk all over herself, never getting in trouble or being told to settle down. I hated her. So along came the Christmas season and our Christmas craft. These ornaments were made by placing a cocktail napkin with a design (like the Santa) in a mold and carefully spreading plaster of Paris overtop. When they were dry enough, our teacher flipped them out of their molds and onto a piece of paper with our names on them so they could be trimmed and glittered. I was so excited to see my ornament. I knew it would be perfect. It would be a gift that would make my parents so proud! Overcome with anticipation, I snuck over to the drying table to take a peek at my creation while my classmates were busy doing something else. I looked and looked for the piece of paper with my name on it… there it was! Oh no! To my horror, my cocktail napkin had wrinkled in the mold. Santa’s face was warped and unrecognizable. As if to double my disappointment, mine was next to the ornament of my perfect classmate, whose was, predictably, perfect. I remember thinking that there was only one thing to do. With a furtive glance over my shoulder to be sure I wasn’t being watched, I reached over and switched my ornament for hers. When they were fully dry, our teacher had us trim off the excess napkin, glitter the front, and write our names on the back. I remember being thrilled at how beautiful mine was and don’t remember feeling any remorse at all. When I told the truth about the ornament to my parents, some 12 years later, we all had a good laugh. The fact that it was stolen probably saved it from the trash. The story of the stolen Santa has become part of Christmas legend in my parents’ home. I now have this inkling, even as I type this out, that somewhere another 40 year old mother is writing a blog entry about “The Christmas That Ruined My Life” and her ornament that was too ugly to put on her tree. Well, maybe not. But for the record, I’m sorry, little perfect girl, that I acted out of jealousy and swiped your craft. Thanks for the Santa ornament.